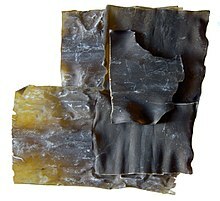 ^ Laminaria japonica - Overview - Encyclopedia of Life. Encyclopedia of Life. [2018-01-13] （英语）. ^ Aluminium and Alzheimer's disease. [2012-06-15]. （原始内容存档于2012-03-11）.